This Directstream combo delivers new benchmark setting performance! 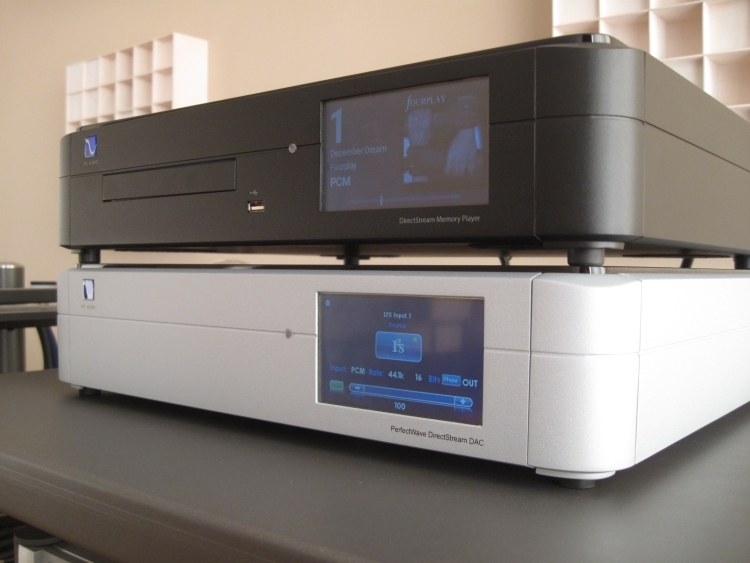 The Directstream DAC has been reviewed dozens of time and needs no further introduction. The Directstream Memory Player however, is brand new. The surprise: together, using the I2S connection, the combo delivers new benchmark setting performance! The Directstream DAC is operated with a simple and clutter-free touch screen that works very responsively. Switching inputs either via the front panel touch screen or via the IR remote control’s individual clearly labelled source buttons is easy and super-fast, which is great for comparing sources. 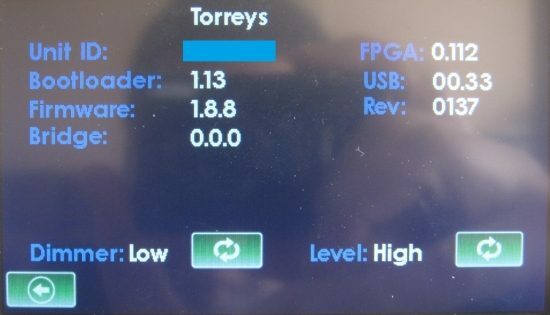 The DAC has an excellent volume control built in, but I have not assessed this functionality. For the review, the volume level was set to max, and high output in the setup settings. I started my listening with only the Directstream DAC, so without the Memory Player. Main music source was the Aurender N10 music server connected both coaxially with a Belden RG59 cable as well as with the AudioQuest Diamond USB. 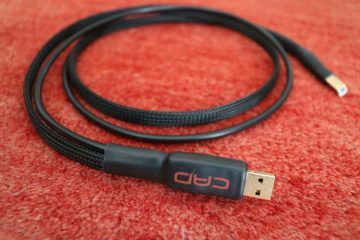 Initial listening revealed that the Direcstream DAC is not very fussy about power cables and works great even with a standard cable, but that doesn’t mean that it is immune to power cable differences. 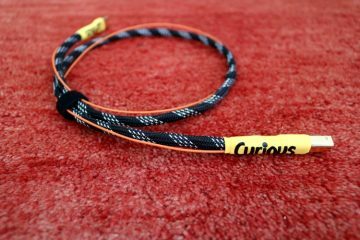 Careful selection of the right cable can provide still substantial benefits. 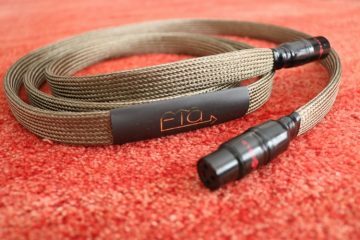 While the Furutech FP-TCS31 power cable with FI-28/FI-38 connectors made for a seductively smooth sound with very wide soundstaging, I found the Cardas Clear to provide more articulate- and powerful bass while maximising midrange purity. 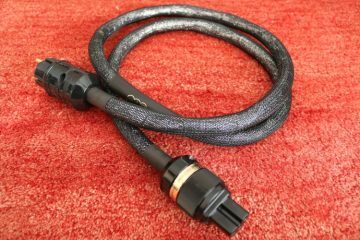 As interlinks I used Cardas Clear XLR as well as AudioQuest Water (cinch). Both work well and considering its price point the Water deserves special mention for its performance. Ultimately though the Cardas provides a bigger soundstage, more sparkle, better transparency and provides an overall more energetic sound. 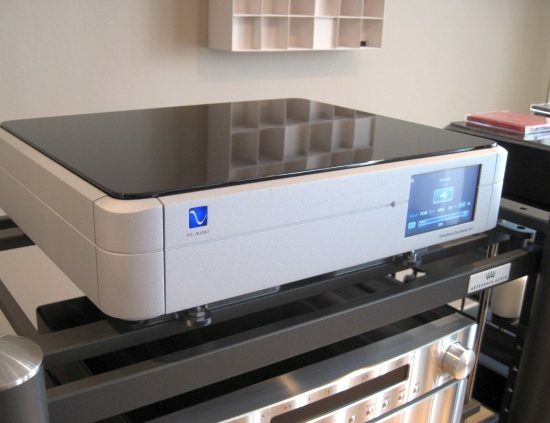 The old favorite Transparent Ultra XL was also tried briefly and although it works quite well in various respects, enhancing the DAC’s inherent smoothness, it does not provide the best dynamics. 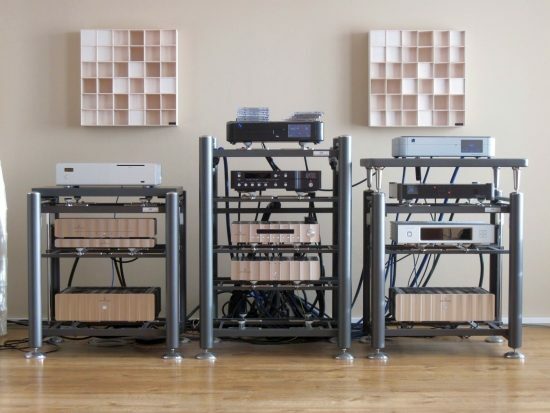 Normally I review audio components directly on the Artesania rack’s feet and the initial listening was done this way indeed. 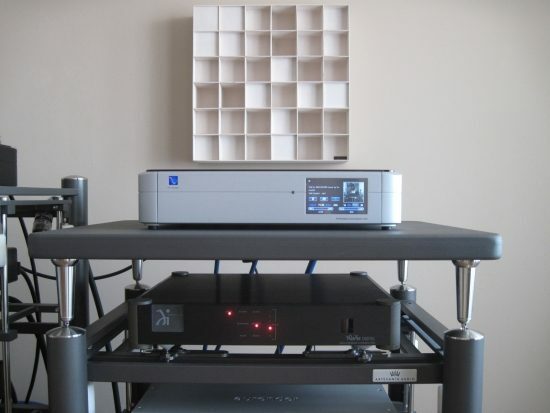 But because space is sparse with so many components to compare, I added an Artesania Digital Server Platform, which is spiked to the rack’s main pillars rather than via the decoupled nylon tubes. Because the Directstream DAC is quite relaxed itself, it benefited from this set up by gaining a little extra presence in its sound, so this is how the DAC was listened to for the remainder of the review. I have not seen official publications confirming this, but I would imagine that this design could lead to the Directstream DAC having very little pre- and post ringing. And indeed especially when playing DSD with the Directstream Memory Player over I2S, it is as if there is no ringing at all. But before I dive deeper into this, let’s jump back a little. There is lots more to mention on the technical side, but this is all on the manufacturer’s site, as well as highlighted in many other reviews so I will save time and move right on to the sound. My sample was a demo unit, but I am unaware of the amount of hours that it has played. When listened to straight from the cold it sounds super smooth right away, but a little sleepy. After two weeks of continuous play it started to open up dynamically and bass firmed up. After this 2 week period, I heard no further improvements. Used as a traditional DAC via its coax or USB input, the Directstream DAC has an amazingly free-flowing, elastic and organic delivery. The sound pours effortlessly out of the speakers, and fills the room with boundless ambience. There’s plenty of bloom when needed, but it’s not layered on top or delivered in a creamy fashion and transparency is excellent, with very natural timbre. Especially voices sound utterly realistic and convincing. The DAC also achieves levels of nuance, refinement, fluidity and treble air not attained previously by any PS Audio product that I know, and that includes the older PWD MKII. The PWD had a very nice sonorous and lifelike timbre, and while not sounding quite as forceful as its forebear, thankfully this overall tonality has largely been retained in the Directstream DAC. Using the Aurender N10, the Directstream DAC’s coaxial digital and USB inputs sound very similar and with some music it is hard to tell them apart. Ultimately though with more complex music USB proved to be slightly more crispy and articulate, but really only very slightly so. The Directstream DAC’s resolution is all the way up there with the best DACs and all this detail is presented without the slightest trace of harshness or tonal grayness. In fact the Directstream sounds full colour and super transparent simultaneously and I feel this is a really impressive achievement, especially at the price. Here’s the clincher though. I feel that by taking the DSD upsampling route (yielding the aformentioned clear improvements in various areas) PS Audio moved away from what the natively sampling PWD MKII did so excellently: that super-solid and sonorous bass that I have only ever heard otherwise from the classic multibit Wadia DACs and CD players. 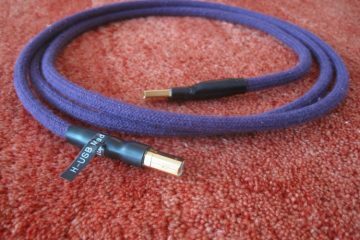 At the time, the PWD MKII’s soundstage layering even bettered that of the clock-linked (DAC controlling transport timing via a separate clock cable) Wadias I had at hand, and in the years that followed, I’ve never heard better soundstaging that I did using the PWD MKII in its native X setting. That is, until the Directstream DAC was listened to using the Directstream Memory Player via I2S, which provides separate transport of music and clock signals. This really looks to be one of the most important aspects in music reproduction, but now I am jumping ahead again. Let me rewind a little. 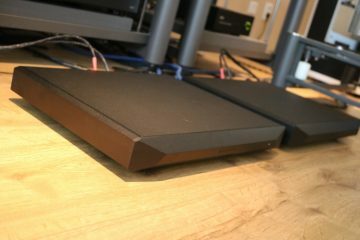 So far, we have almost all the audiophile boxes ticked, but I’m hesitant about the DAC’s bass solidity and dynamic performance. As a stand alone DAC, used with any of its digital inputs (not I2S), it just sounds a bit too laid-back in my system. It is also seemingly dynamically somewhat restrained, seemingly not going all the way. It’s as if the drummer doesn’t want to hit the drums too loudly, and plays a little more gently instead. This is most obvious in terms of midbass / lower midrange solidity, which are precisely the areas in which the PWD MKII excelled, and that particular DAC took pride in not using any upsampling. Thinking about this, I was theorizing that it is almost as if I can hear the processing that takes place, upsampling and interpolating the native 44k into a pulsed DSD stream, even if the conversion process downstream is brilliantly simple. Experience thus far shows that upsampling in general will do this to the sound, liquifying midrange and treble while taking away some solidity from the bass. Even if the upsampling process has nothing to do with my obervations regarding the DAC’s dynamic expressiveness, it should be noted that the Directstream DAC is just a bit of a different animal than its forebear. Better in many aspects, but not as good in some parts. But I’m nowhere near finished with this assessment. Do read on for more comparisons, as well as a surprising finale! 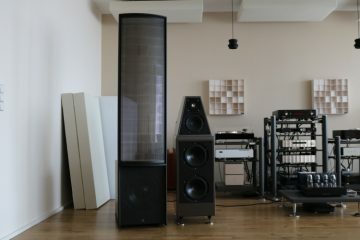 In order to be able to put the Directstream’s sound into context without leaning only on the classic Wadias which are not the best references because of their age and because even the relatively recent Wadia 521 is discontinued now, I pulled in 3 other DACs: the EC Design Mosaic T, the Exogal Comet and the Jeff Rowland Aeris. The EC Design DAC (top left on the picture above) is an unusual design, with a Toslink input only and output on mini jack. Inside it is also quite special using a proprietary discrete resistor-based ladder DAC design with no oversampling and no filtering. Switching between the Directstream DAC using USB and the Mosaic T, comparisons were made while making sure that the volume was levelled, by adjusting the preamp accordingly each time. The Directstream’s volume control was not used at any part of this review. At 1500 euro the Mosaic T is quite affordable and it definitely performs above what should be expected at its price level. Remarkably it has a few aspects in common with the Directstream DAC, such as the overall way it handles detail and nuance, and the way that the sound is poured out freely in front of the listener, completely devoid from exaggeration or edge. Ultimately though it cannot compete with the Directstream DAC. In addition to having a timbrally more realistic, more full-bodied sound, the Directstream DAC throws a larger soundstage into all dimensions and although it is dynamically more similar than different, overall the Directstream DAC has a more energetic, more engaging delivery. The Exogal Comet is nicely compact DAC that costs 2590 euro with standard power supply. Naturally it was not listened to as pictured above, but by itself on the same platform as the Directstream DAC. Not too dissimilar from the Mosaic T in overall character, the Comet sounds tonally fuller and goes about its business with more speed and energy and in doing so sounds more upbeat and captivating. Although its bass is not as forceful and its dynamics are not as powerful as either of the resident Wadias (521 and 25) or the Jeff Rowland Aeris, using either USB or coaxial digital, the Comet does sound a bit more spontaneous and lively than the Directstream DAC. The latter however counters with a larger soundstage and a more sonorous sound with fuller bass and a timbrally richer and more relaxed midrange. 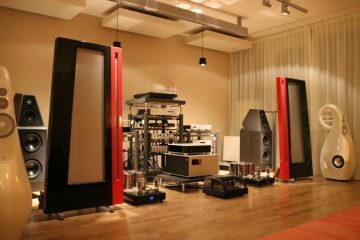 Brought along by my friend Niels, the Jeff Rowland Aeris was my favorite for an extended period, until it was replaced by the Mosaic T DAC, mainly because that DAC managed to sound more subtle and refined. Later I started missing the Aeris’ big bass and overall very energetic delivery but by that time I had already sold it. That’s when Wadia re-entered my listening room. Anyway, back in again for the occasion the Aeris was listened to both in standard form with its switched power supply as well as in non-plus-ultra guise fed from the Power Storage Unit. Either in standard form or fed from the PSU, the Aeris has a very solid and powerful delivery, even more so than any Wadia. One might even find it too much of a good thing, but in this respect it makes the Directstream DAC sound a little tame dynamically. However, the Aeris does not nearly sound as natural as the Directstream DAC. 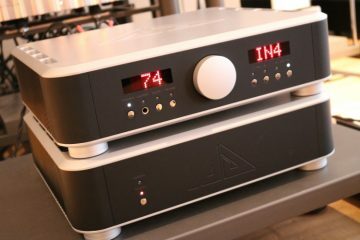 Although the PSU makes the Aeris sound timbrally more natural and achieve much higher levels of nuance and detail than in basic guise, still the Directstream DAC sounds more convincingly natural both timbrally and spatially. 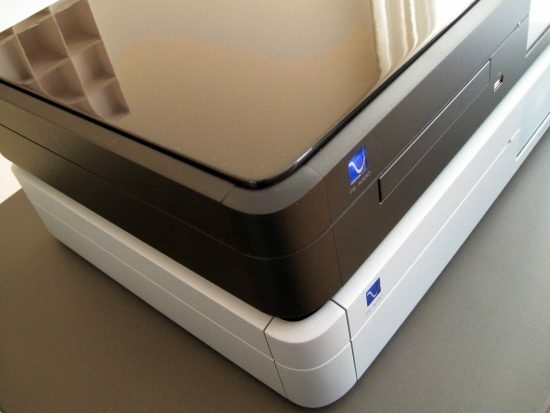 Both DACs are capable of incredibly precise imaging, but what is most striking is the difference in the way that the performance as a whole is presented. The Aeris packs the performance together and projects it forward as a chunky whole while the Directstream DAC places the performance at the speakers’ plane while organically allowing spatial clues to extend to all sides of the audio system. Does this mean that the Aeris is more coherent or that the Directstream DAC is more natural? This will very much be up to the individual listener to decide, but for me it is the latter. The Directstream DAC has been reviewed in dozens other places and it has received almost unanimous praise. Although one reviewer did comment on the DAC’s slightly woolly bass and softened transients even with the latest Torreys firmware, judging from the multitude reviews that do not mention this I guess my system and I personally are also a little bit more sensitive to this aspect. After inserting a break to further digest my impressions, I resumed the review duties and turned to the Directstream Memory Player as a source. And as it turns out, I had not heard the best that the Directstream DAC can deliver just yet! CDs and SACDs load in about 20 seconds which isn’t as fast as normal CD players, but miles faster than the initial SACD players or typical DVD/SACD combo players. As soon as the CD is read, the accompanying titles and artwork are retrieved from the internet, if an ethernet cable is connected and an SD card is inserted into the rear of the player. The display looks a bit cluttered, less clean than its predecessor’s, but it shows a wealth of info and the track numbers are very large and can be read from a great distance: in my case 6 meters, and I am near-sighted, and refusing to wear glasses. Operationally the player and its touch screen take some getting used to, but after the initial loading the player is quite responsive and works very well. Fast forwarding using the touch screen is especially handy and works just like one uses a scrubbing bar with a audio player app such as iTunes or for example YouTube. When fast forwarding using the IR remote control the behaviour is also a little out of the ordinary: the sound is muted and the “play head” moves forward in steps that increase in size with every push of the remote button. When used a few times, this becomes familiar too. So far I have used the Directstream DAC in the traditional sense, with its coaxial and USB inputs, and it was with these inputs that I had some reservations regarding its dynamics. But the Memory Player turns out to really be a game changer: Listening to the Directstream Memory Player via I2S the increase in dynamic expression and spontaneousness is unmistakable. 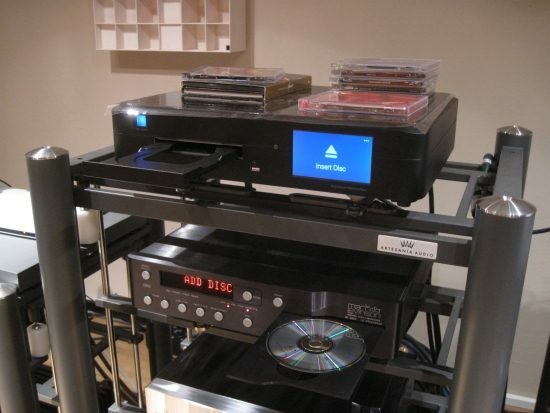 Compared to the Aurender source via either USB or coaxial digital, using the very same CDs as were used to create the copies on Aurender, the Directstream Memory Player connected via I2S sounds more playful, more elastic and more free-breathing, and it also throws a deeper soundstage with better layering front to back. While still not as solid or dynamic as the Wadias and the Aeris, the combo sounds about as expressive, and musically more appealing than the Aurender + Exogal Comet, as long as I2S is used. 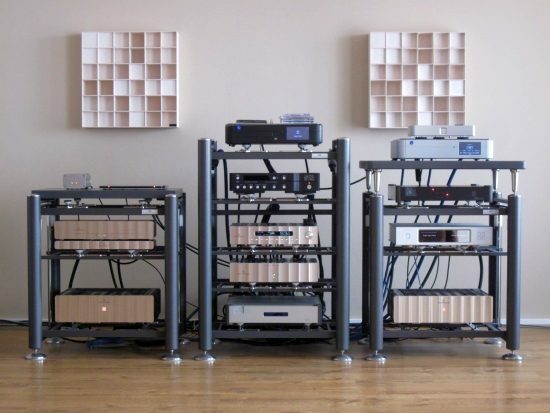 In fact, when switching back to the Aurender and Wadia 521 using coaxial digital, my components don’t quite sound as good anymore: gone is the bubbly soundstaging and room filling aura and gone is the elastic, free-flowing and vibrant sound, replaced with a much flatter delivery. The Wadia+Aurender do sound more sonorous and the bass is indeed more solid and more powerful. But is it also better? Maybe I’ve just gotten used to this kind of delivery? Maybe so, but there’s more to it. Using the Memory Player via I2S even with 44k red book recordings I definitely prefer the Directstream DAC’s delivery. This presentation is simply more lifelike, more living and breating, and just more convincing. Alas the Directstream only turns in this performance when fed from the Directstream Memory Player. Let me put it very clearly: via I2S the Directstream Memory Player is simply revelatory: this sounds much better than any other digital source including the Aurender N10 used via USB or coaxial digital. This reminds me of how Clocklink also made a Wadia Transport and DAC sound much better, with the same sort of improvements in dynamic elasticity and soundstage breathing. This proves once again how important timing is in the digital world. The recently refurbished Mark Levinson 390S was brought in for transport comparison duties. Although it sounded surprisingly good using the same Belden RG59 coaxial digital cable and arguably provides a more organic sense of musical flow with this DAC than does the Aurender, all it took was 10 seconds to hear that the Directstream Memory Player (using I2S) simply provides a cleaner, more accurate, more articulate and ultimately more engaging window on the music. There is something about the 390S that makes it very musical (emotionally appealing) both as a transport and as an integrated player and there was a time when I preferred CD players such as the Marantz CD94, CEC TL-1X and the aforementioned Levinson for their smooth, relaxed and full-bodied sound but these days I’m much more fond of the articulate agility that music servers seemed to have exclusive rights to. Seemed, because we can now add the Directstream Memory Player too. 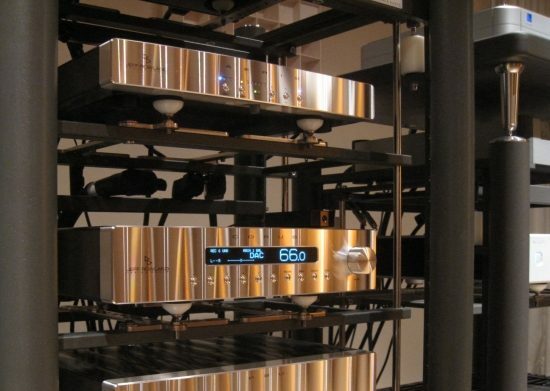 When using the Memory Player via its coaxial output however, much of what makes it so excellent is lost, such as the spring in its step and part of its refreshingly articulate nature but even then it still sounds very good, more or less on par with the Aurender using coaxial. Chances are however that people buying the Memory Player will already own a Directstream DAC, and I would urge these people to use the I2S connection. It really makes the difference. Just for the sake of it I connected the AudioAanZee Reference Flow music server instead of the Aurender, using the same AudioQuest Diamond USB cable. 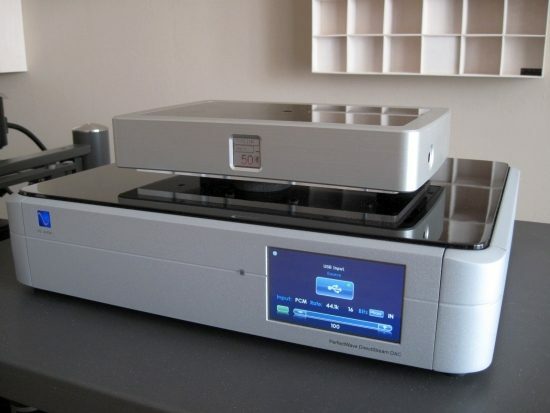 Interestingly, this server provides a similar smoothness and relaxed flow as does the Levinson CD player when used as a transport. It is a musically very satisfying delivery, but not as exciting as the I2S delivery method using the Directstream Memory Player. So far I’ve only talked about 44.1 CD based music. But load an SACD and the results just keep getting better! It seems that my hunch about the PCM to DSD processing being audible is at least partially correct, because the Directstream DAC really seems to have lost all inhibitions when playing files native to its internal processing. With well recorded SACD’s, the Directstream combo turns in the absolute best digital performance that I have heard in my system! Lively, vibrant, pure and powerful, but with a very high level of refinement and without a trace of harshness. This is arguably where the DAC’s DSD nature really comes into its own, but I’m sure it’s also the I2S connection and its implementation that makes the difference. Compared to this, DSD playback from a music server via DOP over coax or USB into any DSD capable DAC that I have owned sounds hi-res for sure, but definitely not as convincing and special as the Directstream delivery. 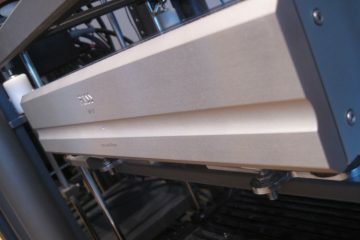 Speaking of SACD experiences: I have heard great SACD sound using the dCS P8 and the Wadia 781 and preferred the latter. However the difference between the CD and SACD layers was not big. Playing the same hybrid SACD on the PS Audio combo and switching between the layers, the difference is HUGE! 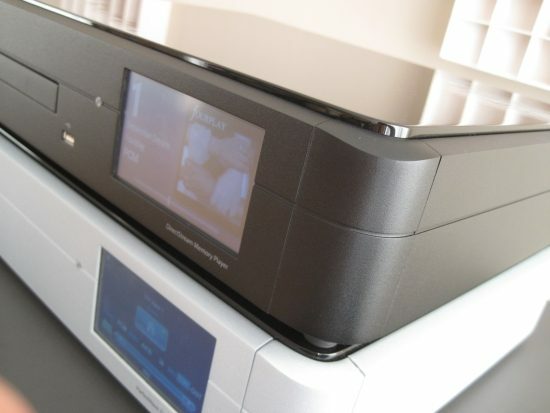 In my view, the Directstream Memory Player connected via I2S transforms the Directstream DAC from good to really excellent, and when playing SACD’s this is further raised to absolutely superb. Listening to the combo this way I can fully appreciate the many rave reviews that are written about the Directstream DAC. 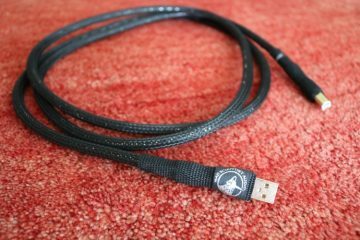 The combo came with a PS Audio HDMI cable for the I2S signal transport but Aspera also added an AudioQuest Diamond HDMI cable and believe it or not: there is a major difference between the two! 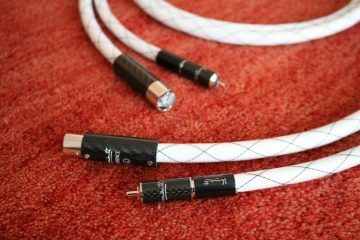 The PS Audio cable sounds smooth, relaxed and tonally full, and the AudioQuest Diamond sounds tighter, more upbeat and more airy, but definitely not bright in an excessive manner, more like it just retrieves more detail. My preference is for the AudioQuest but as they say, your mileage may vary. So far I have only touched on the more traditional part of the Directstream DAC’s capabilities but it is of course more than a DAC: it is also potentially a UPnP streaming endpoint, complete with Roon compatibility. When I received the Directstream DAC it did not contain the Network Bridge II but upon request Guy (pronounce “key”) kindly post-shipped it to me. From past experience with the PWD MKII and the original Network Bridge I know that the PS Audio networked audio quality was indeed very good and now that Roon exists and is also supported natively, I was very interested to find out how it performs currently. Well, I’m glad I asked for it because its performance seems to have been enhanced quite noticeably! With the older PWD MKII there was a large difference in sound between the USB and SPDIF inputs on the one hand and the bridge’s network input: the traditional inputs sounding very tight and controlled while the bridge sounded quite a bit more laid back. Long time readers will know that I preferred the network card’s sound at that time, but my preferences have evolved since that time, so given the same choices now, I might have preferred the SPDIF or USB inputs after all. You see, since the PWD review my system has changed significantly, and my taste has also evolved toward the more neutral. Interestingly, the Directstream DAC sounds highly consistent across all of its inputs, Bridge II included, the only exception being the I2S input. Although, through that input it still sounds the same as it does via all other inputs, but with deeper, better layered imaging and an arguably emotionally more involving delivery. I was hoping that perhaps the Network Bridge II would approach the I2S in that respect, but as mentioned it is very much in line with the other inputs. However, when listening carefully, you notice that the Bridge II does still sound a tiny bit more free-flowing, less direct if you will, but in a good way, as if the sound has better natural flow, with a slightly richer bass and lower midrange. But these differences really are very small. The above may sound like faint praise, but it’s actually the opposite. I should note that I have compared the Directstream DAC’s traditional inputs fed from the Aurender N10 that sits right beneat it in the same rack, versus Roon installed on my regular computer in the other room. 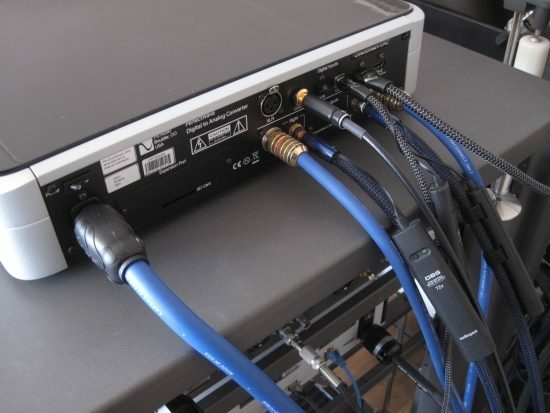 Now before you start thinking that this should not matter one bit, I must point to a comparison with lots of cable and multiple network switches that I made some time ago using Sooloos equipment. The result was that every switch that was added, was audible as a slight thinning of the sound. Not only that, the cable type and placement of the server also turned out to have some influence on the sound. All this leading to my preferring local music server playback over any streaming solution. Placebo effect or not, this time around I did not hear any such effects. The sound via the Network Bridge was as full and sonorous as could be, in fact, even more so, than via the USB and SPDIF inputs, and highly involving emotionally. This, I think is a major achievement, especially since Roon is such a pleasure to use. 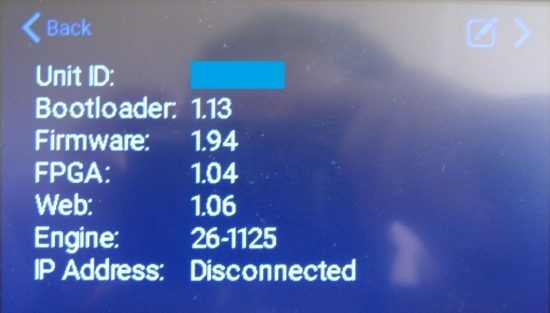 Below: Directstream DAC properties after installing the Network Bridge: note that the unit has downgraded while installing the Bridge. This will also have influenced the sound, but there was no way to change this. In any event, I completed the non-network reviewing part prior to installing the Bridge. 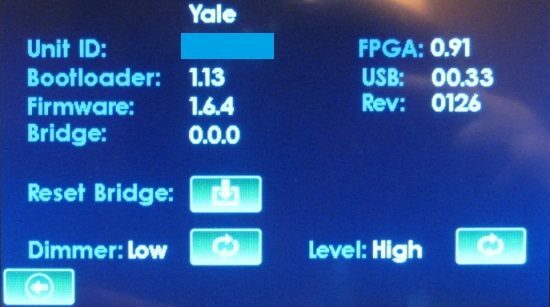 And even with Yale firmware, the network option sounds really good. First: don’t under estimate the influence of firmware. Just as was the case with the PWD (MKII), the Directstream DAC has undergone quite a few updates and with every update its sound is influenced. This has been detailed in various recent reviews and from experience with the PWD I know that the change can indeed be far from subtle. 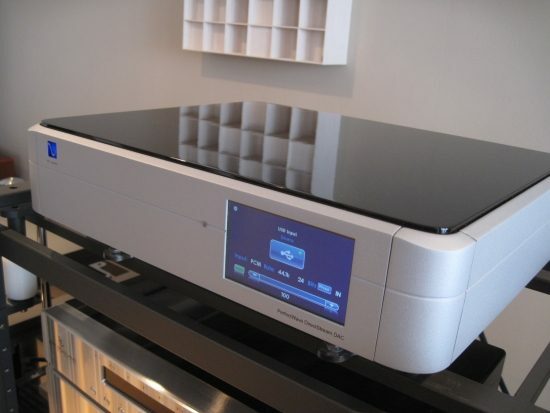 The Directstream DAC for this review was used with the latest software version, Torreys. 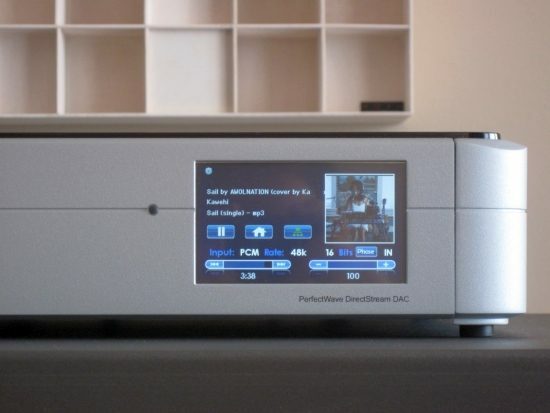 When used as a traditional DAC with a CD player or music server source the Directstream DAC sounds amazingly effortless and super highly resolved at the same time. It has a very convincing delivery with a harmonically rich yet spot on natural timbre and never any harshness, shoutyness or edge. However, it can be beaten in terms of bass solidity and (impression of) dynamics. When used with the Directstream Memory Player over an I2S connection and playing red book CD’s, a good portion of the aforementioned restraint is removed. This way the Directstream DAC is as highly resolving as the best digital components that I have heard and utterly free-flowing, timbrally superbly natural, with imaging that is entirely decoupled from the speakers and spreads throughout the room in all dimensions. 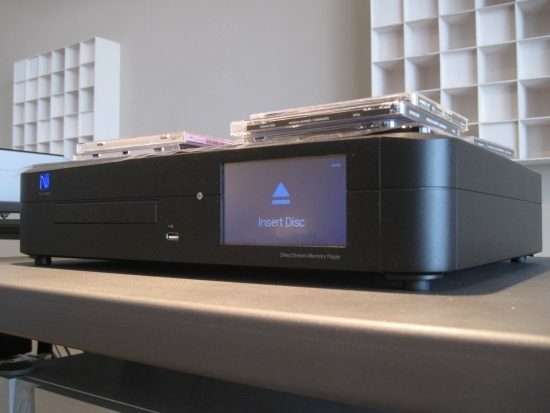 When playing well recorded SACD’s with the Directstream Memory Player over an I2S connection, the Directstream DAC is capable of nothing less than revelatory sound. Used this way, the dynamic restraint mentioned above is all but gone, and the bass is also firmed up considerably! Without any reservation, I simply haven’t heard a more natural and effortless and wholly convincing delivery from a digital source than this. Thanks very much Luca. Indeed, this one took me quite some time! In je verslag over de PSAudio ben je heel positief over de combi PSAudio memory player+ DSDac. Heb je toevallig ook de DSDac geprobeerd samen met de ‘oude’ PWTII? 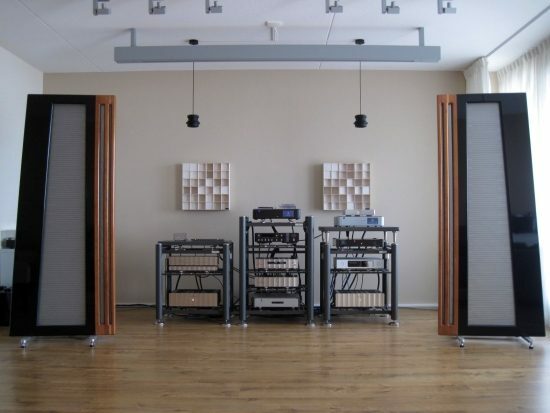 Aragon 8008, Krell 222, PSAudioPWTII, DSDac, MichelSE, en Vienna Acoustics the Kiss speakers. Denkend aan een volgende upgrade twijfel ik of ik nu beter een andere eindversterker kan testen ipv. een ander cd loopwerk. Overigens ik heb geen SACD’s alleen normale CD’s en streaming daar doe ik nog niet aan. Hi Andre, I have not heard the PWT. It might not be too different itself, but the I2S connection really does make a large difference. By DSDAC I assume you mean the Directstream DAC? If so then I think the best upgrade candidate would be the Aragon indeed.